Update, December 7 Thanks to its recent update, CS:Go just had its best day in more than nearly nine months. 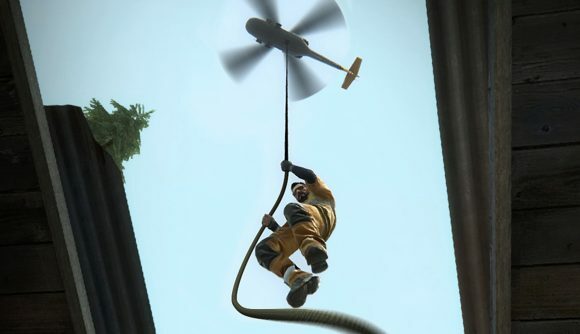 Counter-Strike: Global Offensive’s latest big update is Danger Zone, and it’s already live. As suspected, the central mode is Valve’s take on battle royale – but what we didn’t suspect is that CS:GO is now fully free-to-play. Yep, that’s the whole game, not just battle royale, and not just the offline modes that went free earlier this year. As a result, the game has seen quite the boost in player numbers. In fact, last night saw it 600,000 concurrents for the first time since march. It reached a concurrent count of 672,000 players in March, but it didn’t manage to maintain those lofty heights, slipping to between 400-500,000 players during the rest of the year. That’s still very impressive obviously, but it’s nice to see that Valve’s change of tack has paid off. I’m going to assume that the free-to-play aspect is proving more popular with new players than the battle royale, but I imagine jumping on that bandwagon can’t have hurt. Interest in the game has spiked elsewhere, too. Last night saw the game reach the top of Twitch. It’s not a feat that’s entirely unheard of, of course – Counter-Strike is one of the world’s most popular esports – but it’s very rare outside of a major tournament. Existing CS:GO players will automatically be upgraded to Prime Status, which includes exclusive souvenir items, item drops, and weapon cases, as well as matchmaking against fellow Prime members. That upgrade will take place whether or not you’ve previously gone Prime, as long as you owned the game before today – notably, this applies even if you haven’t applied a phone number to your account. Otherwise, you can go Prime be reaching rank 21 in-game and add that phone number, or purchasing it through the Steam store for $14.99 / £11.99 / €13.25. That subset of players who’ll be able to enter Prime matchmaking without a phone number attached remains a bit of a concern, as it means there’s a somewhat greater chance of running into smurfs and hackers in advanced matches. Time will tell how it ultimately pans out, though, and you can find more info in the FAQ. Danger Zone itself is a new 16 to 18-player battle royale mode on a map called Blacksite. Missions in each match will give you cash bonuses that you can use to purchase drone deliveries of special weapons. You’ll do that via an upgradeable tablet, which can also give you intel on the shrinking zone, enemy positions, and opponent deliveries. You can see full details on the mode on the official site. The pace seems to be much faster than a typical battle royale, and Valve says matches typically last about 10 minutes. You can play solo in 16-player matches, or in duos and trios in 18-player engagements. There are no four-player squads. Stay current on this and more with our CS:GO update tracker. We expected a major patch today, but the revelation that the game is now truly free-to-play is certainly a surprise. The Steam store is now up-to-date, so you can head there to grab the game for free.